For session 52 I had the pleasure of nerding out with Michelle Bouvier. 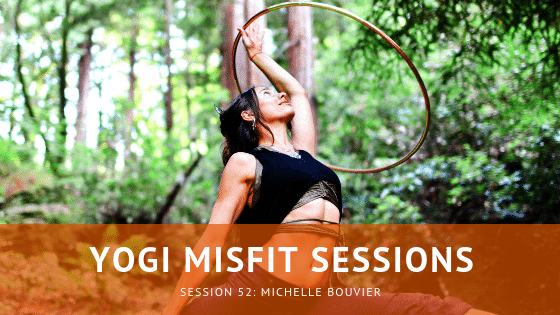 Michelle is a yogi and movement educator based in San Francisco who uses bio-mechanically intelligent embodiment practices to eradicate linear forms of thinking and moving. We discuss the growth of movement sciences and how it compares to classic yoga alignments. Plus, we go deep into a yoga nerd out, with conversation varying from how colonization took ecstatic expression in yoga underground to the geometry of joint surfaces. It was great talking to someone who uses their yoga practice to constantly explore and is willing to break out of the normal way of doing things to try something different. Hope you enjoy listening to this episode as much as I enjoyed recording it. As always, shout out to our friends at SF Yoga Magazine for their continued support.